We love the meaning and beauty of Adinkra Symbols. We were especially excited when we discovered these Adinkra imprinted chocolate bars created by the '57 chocolate company. This innovative company is owned by sisters, Priscilla and Kimberly Addison. Their beautiful chocolates are a combination of sculpture and culture. We love the work of talented illustrators; such as, Keturah Ariel and Dana Bly. Keturah, is a sought after visual artist, who illustrated the book, I Am Enough by Grace Byers. Dana Bly is the owner and designer of naturally curly images on products sold by her company, Pardon My Fro . Children's books are definitely a source of inspiration for several of our art lessons. The books listed below are positive stories and are filled with colorful illustrations. 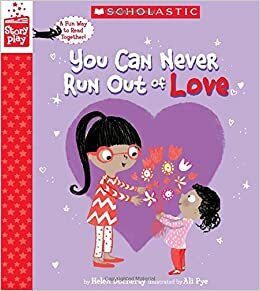 Make sure to check out the art lesson we created below, which is inspired by You Can Never Run Our of Love by Helen Docherty and illustrated by Ali Pye. You can use this art lesson with students in grade 3-5 or tailor it to use with other grade levels. Moreover, this art lesson is a great way to reinforce an understanding of patterns and shapes. It also has a cross-curricular connection to Social Studies and ELA, when it's connected to Valentines Day and the book. Cut out a heart shaped vase from the magenta paper. Use the white oil pastel to decorate it. Draw a bouquet of flowers on the red paper using oil pastels and cut it out. Glue the bouquet to the center of the dark blue paper. Glue the magenta heart vase over the bouquet. Share your creative inspiration of love by commenting below.